This timeline depicts U.S. greenhouse gas emissions from cement production from 1990 to 2017. 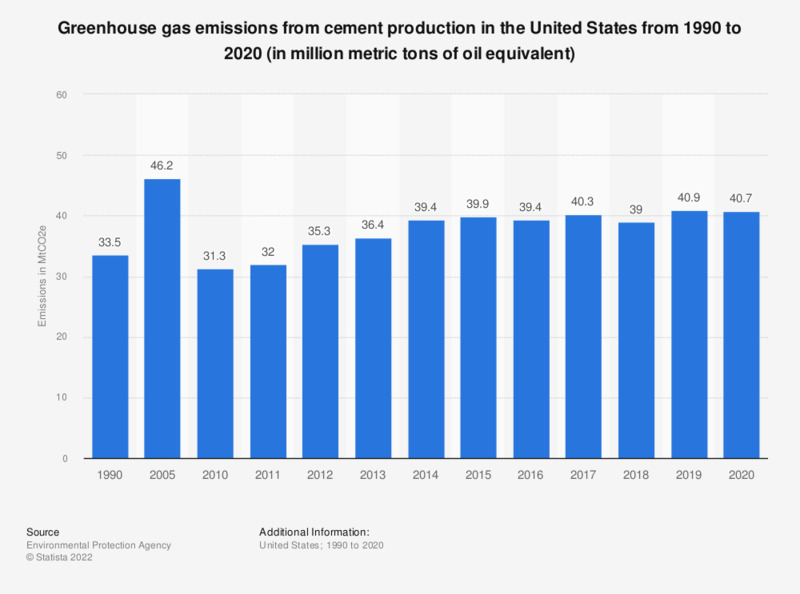 In 2017, some 39.4 million metric tons of oil equivalent greenhouse gas was emitted in the United States from cement production only. Figures through 2013 are taken from earlier publications.